Bawang is cultivated throughout the Philippines. The Filipino variety of Bawang is very small, and four times more expensive than the imported varieties of bawang found in the markets. The reason for this is the superior quality and pungency of the small tagalog (Filipino) variety. Bawang is one of our four “power herbs” having a long history and proof of being a very effective medicinal herb. Bawang is a diaphoretic, diuretic, expectorant, anthelmintic, and stimulant. As an antiseptic, its use has long been recognized. In World War I it was widely employed in the control of suppuration in wounds. The raw juice was expressed, diluted with water, and put on swabs of sterilized Sphagnum moss, which were applied to the wound. Where this treatment was given, it was proved that there were no septic results, and the lives of thousands of men were saved by its use. Bawang is an invaluable medicine for asthma, hoarseness, coughs, difficulty of breathing, and most other disorders of the lungs, being of particular virtue in chronic bronchitis, on account of its powers of promoting expectoration. The successful treatment of tubercular consumption by bawang has been recorded. The successful treatment of tubercular consumption by bawang has been recorded. In the Philippines, the bulbs are prescribed for high blood pressure. Dr. James Balch, in his book “The Super Anti-Oxidants,” states that garlic acts as a super antioxidant, lowers blood pressure, boosts the immune system, balances blood sugar, prevents heart disease, assists in fat metabolism, and aids in cancer prevention. 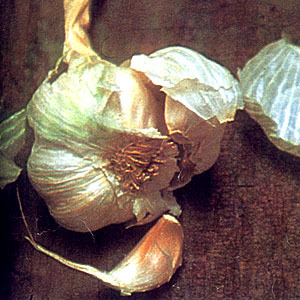 This entry was posted in List of Medicinal Plants in the Philippines and tagged bawang, garlic on March 8, 2009 by Pinoy Herbs.